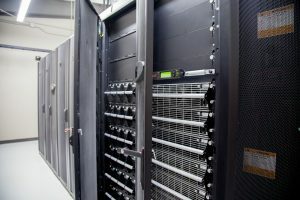 Call us today to schedule a tour of our state of the art data center safely nestled in the beautiful Texas Hill Country. Your data is safe even during a power outtage with zero downtime. 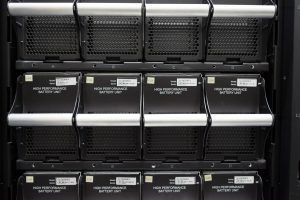 Computer controlled cooling in each pod to rectify fluctuating temperatures. A state-of-the-art system prividng damage free recovery in the event of a fire. 24/7 surveillance monitoring with PC software to keep your data secured. HCTC’s objectives are to continue to enhance, improve and maintain broadband and telecommunications services to the highest level. The Texas Hill Country continues to grow and the needs of the subscriber base continue to evolve. At HCTC, we have embarked on a mission to make broadband available throughout our service area. We realize the importance of broadband availability and its direct contribution to rural economic development, education, healthcare and public safety. The future of telecommunications is unfolding and broadband, along with supporting services, is our clear target. HCTC is strategically positioning itself to meet the ever-changing needs of our customers, today and into the future. 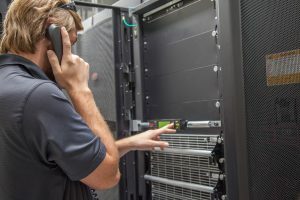 Any business or institution that is looking for disaster recovery, off-site storage of critical data, a data center of your own, or servers to run your software is the ideal candidate for HCTC’s Data Center Services. The data center is secured with a fence, 24-hour camera surveillance, controlled entry via keycard and escorted access to the facility. The building is fitted with lightning arresters to mitigate damage from lightning storms and constructed to withstand hurricane strength winds. A 250kW Cummins Diesel Powered Generator is at the heart of the backup power solution offered by HCTC. When the system recognizes a loss of commercial power, this generator is automatically started and power is transferred resulting in zero downtime. 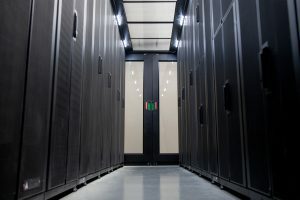 The data center pods are equipped with computer controlled 10kW cooling systems with integrated monitoring. The system provides temperature monitoring and adapts its cooling output to rectify fluctuations in temperature. 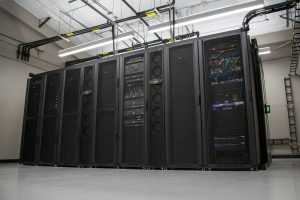 The state-of-the-art fire suppression system utilizes FM-200, an advanced fire suppressing agent, which provides damage free recovery of the data center in the event of a fire. The system automatically senses when a fire starts, warns anyone inside with an alarm before it initiates the process of extinguishing the fire through chemical and physical mechanisms without effecting the available oxygen. The data center is equipped with 14 APC NetShelter enclosures capable of fulfilling your requirements with 42RU and 20RU options. Our facility has 24/7 surveillance monitoring with APC StruxureWare software and NetBotz components.